Good Morning Everyone, Happy Friday!!! YAYYYY another weekend, I am so looking forward to it!!!! Today I would like to share with you a little project I made for Inky Antics, and using their AWESOME Products!!! I decided to make a watering can treat container :) This was a lot of fun to make!!!! I thought this gift would be wonderful for Mother's Day!!!! Hope you enjoy my creation today!!! Inky Antics also carries this fabulous honey comb paper. 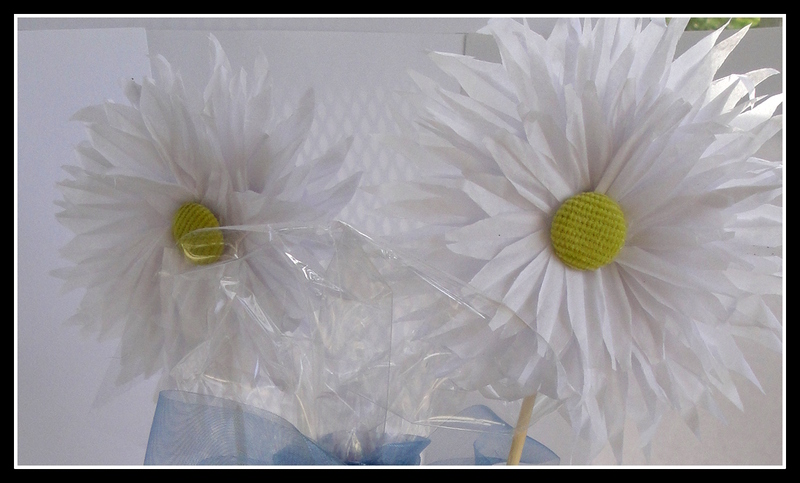 I used some of my white scraps to make these AWESOME flowers to add to my treat container. This paper is so much fun and lots of things you can do with it. Come pick yours up today!!!! One more thing I would like to mention before I let you go. Inky Antics has a monthly newsletter and we would LOVE for you to sign up to receive yours..Stop by Inky Antics to sign up!!! This project I made is in this month's newsletter along with full directions on how to make this treat container. If you would like the directions to this fun project email Jackie at inkyantics@aol.com and she will get them to you!!! Thanks so much for stopping by today, I hope you have a WONDERFUL weekend!!!! 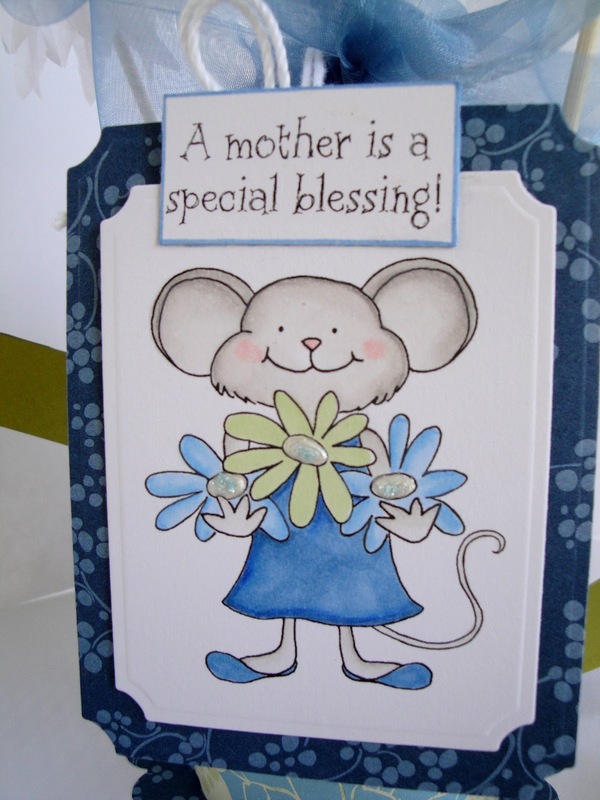 This is gorgeous and what a perfect gift for a special Mom. wow, that is so cute Crystal, just love it! 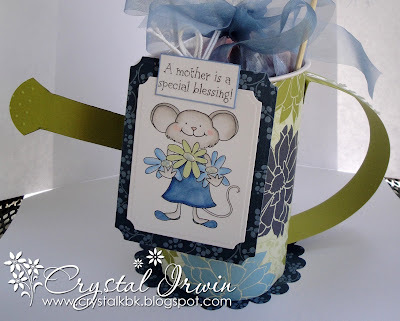 What a cute and creative project, Crystal! Great design! It sure would make a wonderful gift! Have a great weekend! So adorable Crystal, what a great idea! 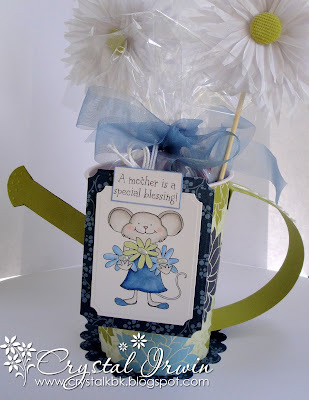 So pretty Crystal, what a fabulous idea, love the image, sooo cute and the white flowers are gorgeous. How cute!! What a darling project! 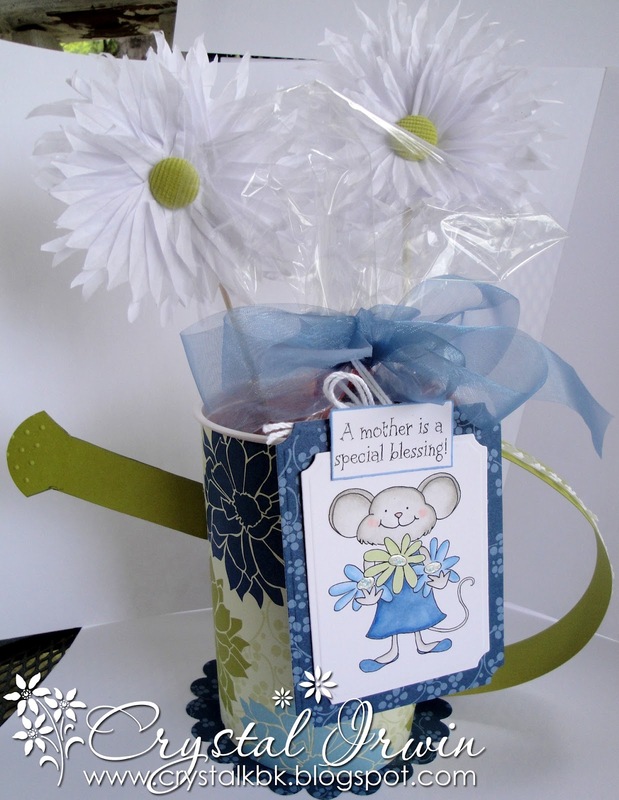 Such an adorable project and creative gift idea. Ohhh this is gorgeous Crystal! Your Mum will love it too! Totally CUTE! Awesome gift idea. How delightful Crystal. Such a great project and so appropriate for Mother's day. ANY mother would love to receive such a gift! Crystal this is totally adorable!! What a sweet gift for a mom or anyone special!! Love it! Hugz and miss ya!! What a fun project Crystal! love the watering can and the sweet little mouse!